So, you just tapped “Send” on an important e-mail message with your favorite email app—and the moment you did, you realized you sent the message to the wrong person, or forgot to attach a critical file, or CC’d the entire planet, or you simply want a do-over. Unfortunately, there are no mulligans with the standard email app for iOS. 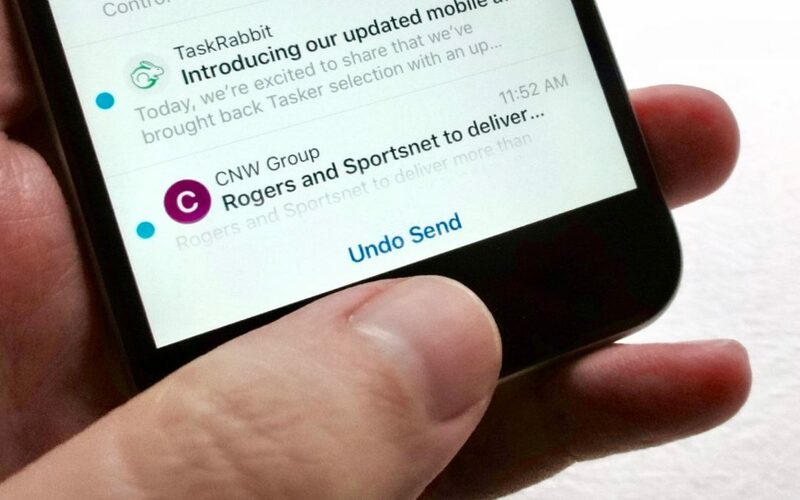 Once you tap “Send,” your email is on its way, for better or worse. The good news is that there are several alternative iOS email apps with an “undo send” feature. The way it works is simple: once you tap the “Send” button, you’ll get anywhere between five and 10 seconds to change your mind, perfect for saving yourself from e-mail embarrassment. 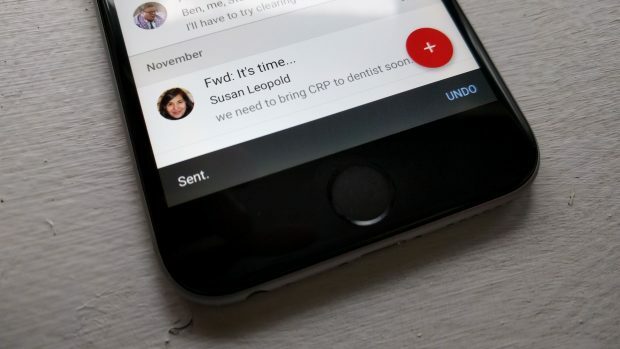 Google’s top-notch email app just got a big update for iOS, adding features like instant search results and swipe-to-archive and swipe-to-delete gestures. You can also do nifty things like “mute” annoying e-mail threads, create custom notifications for specific message labels, and set up an out-of-office message directly from your iPhone or iPad. Best of all, though, the new Gmail app for iOS adds an “undo send” feature. 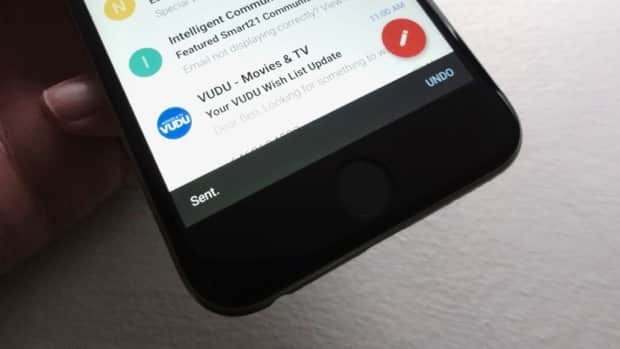 As soon as you tap the “Send” button, an “Undo” prompt will appear at the bottom of the screen, giving you a few seconds to yank the message from Gmail’s outbox. Pretty nice, but there are downsides to Gmail, including the fact that the iOS version only works with Gmail accounts—meaning, for example, you can’t use it to check your iCloud account. The lack of a universal inbox is also a bummer. No, it’s not free, but Airmail’s appealing email app boasts a series of features missing in Gmail for iOS, including a universal inbox, a ton of customization options, and the ability to juggle several different types of mail accounts (including iCloud). Also nice: a “snooze” feature for messages you’d rather deal with later. 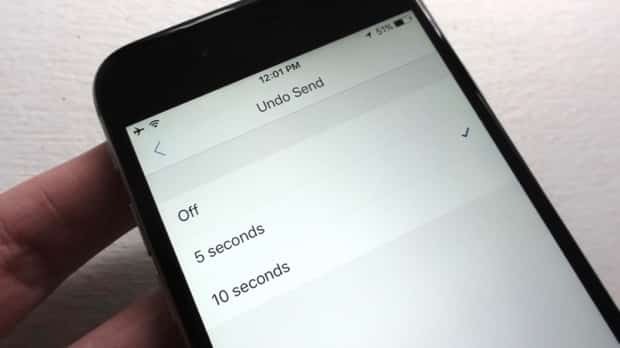 Just tap the main menu button in the top-left corner of the screen, tap Settings, scroll down to the Composer heading, tap Undo Send, then make your pick—either five seconds, 10 seconds, or “off” altogether. 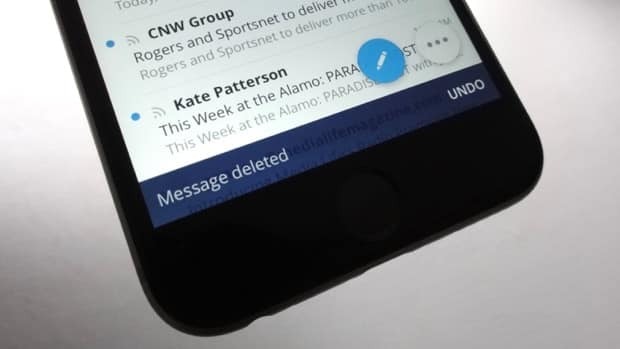 A relative newcomer when it comes to third-party iOS email apps, Spark comes to the table with a “smart” inbox that (if you let it) will sort through incoming messages and highlight only the important ones. Like Airmail, Spark has a universal inbox and the ability to “snooze” a message, and it even has “quick reply” buttons that let you reply with a “thanks” or a “like” with a single tap. Google’s nifty Gmail alternative comes with its own “smart” inbox similar to Spark’s, complete with filters that automatically sort low-priority messages into “bundles” like Promos, Purchases, Social, and Forums. As with Airmail and Spark email apps, you can snooze messages, as well as “pin” important ones and create reminders out of others. Inbox’s “undo send” feature works exactly like Gmail’s: after you tap Send, you get about five seconds to tap Undo. Sadly, Inbox shares two of Gmail’s biggest downsides—namely, there’s no universal inbox, nor is there support for anything but Google accounts. In addition to their respective “undo send” features, each of the iOS email apps listed here will let you “undo” a trashed message, handy for retrieving an e-mail you deleted by accident. iPhone tip: Where do I find my “archived” e-mail messages?